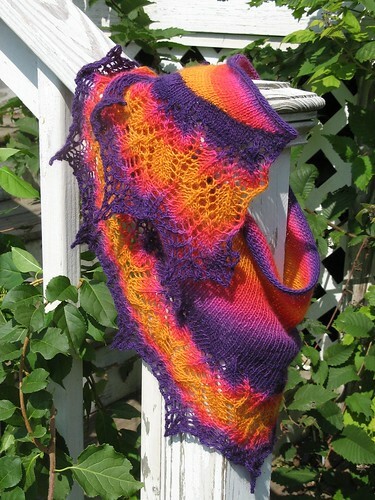 “Sun in Cold Water” is the September KAL in the Beginner Lace Knitters group on Ravelry. Since purchasing a ball of super-colorful Zauberball in March, I’ve been searching for a pattern that would show off the stunning colorway. 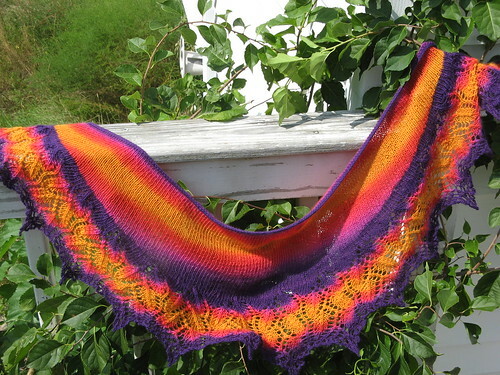 After several failed attempts, I’d put the ball aside — but this pattern seemed like it would suit perfectly. I’m pleased with the results! 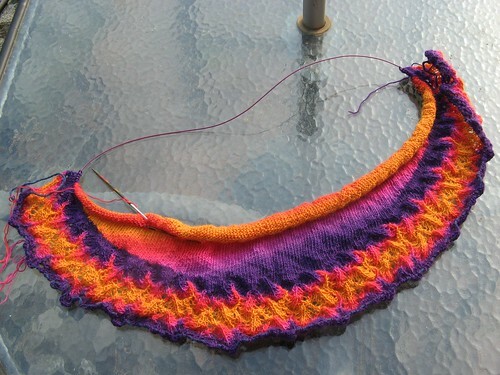 This shawlette is a crescent, worked from the bottom up. 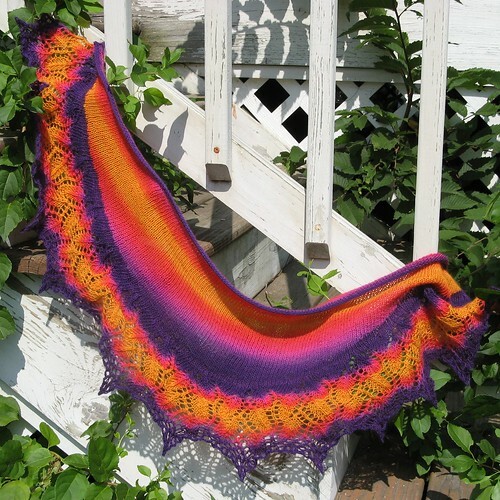 The designer’s intent was to allow intentional pooling of a short-repeat variegated yarn — of course my extra-long repeat Zauberball doesn’t do that. 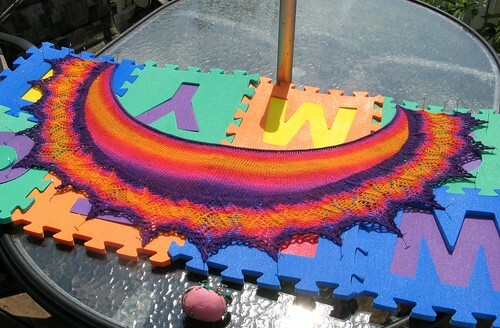 The initial cast-on is provisional — you come back at the end to work a loopy crocheted-chain edge. 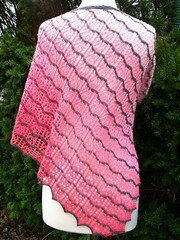 (You can also make the crochet chain first, and pick up every 6th st to cast on.) Short rows shape the body. 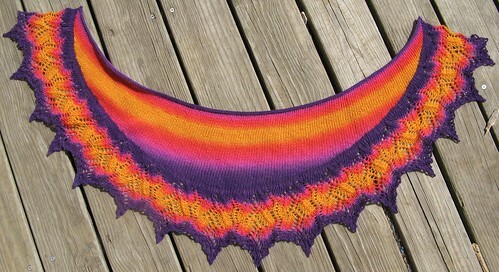 After my recent spate of shawlette-making, I’ve become opinionated. I made a number of modifications to this pattern, to suit my own preferences.